Thousands of black residents are moving away from Chicago every year in what some have called a "reverse Great Migration." The mass exodus comes as Chicago is set to have a black woman as its mayor for the first time in history. Attorney Lori Lightfoot will face Cook County Board President Toni Preckwinkle in a runoff election on April 2. Chicago's black population is on track to shrink to 665,000 by 2030 — down from a peak of about 1.2 million, according to the Urban Institute. One factor in many African-Americans' decision to leave is Chicago's rising cost of living. 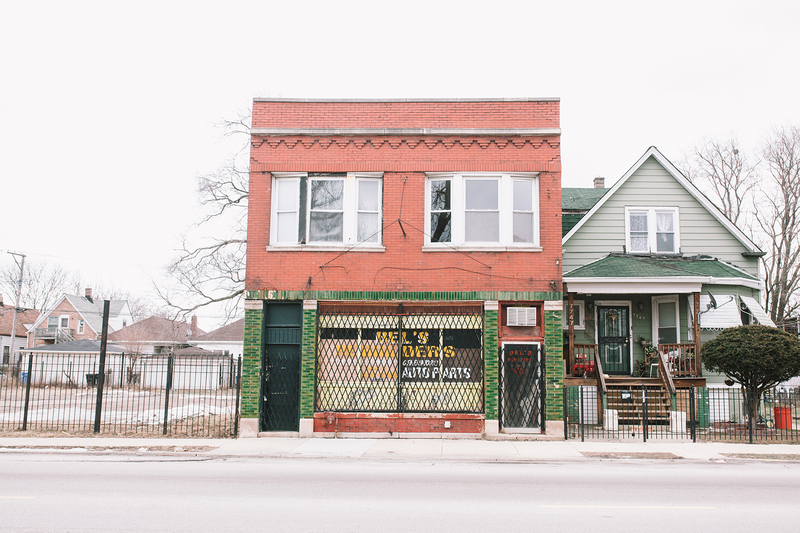 "As much as I love the city and the friend base that I've developed here, I just feel like the cost of living is getting out of control," says Kristin Ware, who lives in Chicago's Hyde Park neighborhood. "I need to go to someplace where my dollar will just stretch a little bit further. And then also the school system here just isn't the best and there's a lot of things that go along with getting into the schools that are really good in the city. So it's very competitive from that standpoint." Ware, 40, grew up in Milwaukee and moved to Chicago in 2002 to pursue a career in marketing. Although she says she loves the city, Ware is selling her townhouse and moving to Charlotte, North Carolina, with her 2-year-old son Kayden and 10-year-old dog Rocco. Weather — specifically Chicago's winter cold — is another factor pulling Ware to the South, she says. 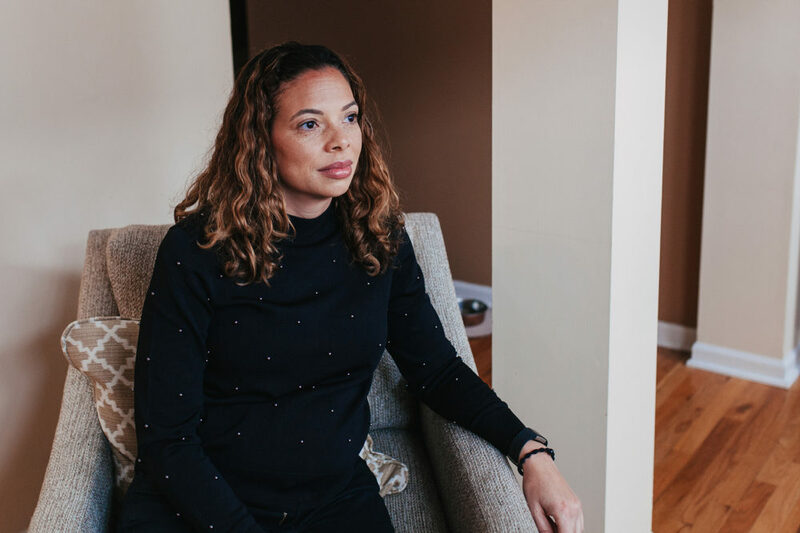 "I used to travel to Charlotte and Atlanta for my previous job, and when you travel to warmer places in the wintertime, you realize you're making a choice to live in the cold weather," she says. Ware is getting a much bigger place in North Carolina than she has in Chicago. And she says she'll pay a lot less in taxes by leaving Illinois. But there's another reason Ware decided to leave Chicago: She wants her son to grow up someplace with lots of opportunity. "I'm raising a black male in America, so I want to make sure that I give him the opportunity to have affluent role models that he can be around and see successful black people," Ware says. "That's important to me for him to see success." Chicago has seen a decrease in its overall population since 1950, but the trend has been driven lately by African-Americans, who have seen their population decline by 33 percent in that time, according to Teresa Córdova, director of the Great Cities Institute at the University of Illinois Chicago. "In a lot of these neighborhoods where we're seeing the largest decline, those are also neighborhoods where you have a lot of job loss, particularly since 1975," Córdova says. "Along with that job loss you saw disinvested neighborhoods with declines in anchor institutions — the corner grocery stores, even schools. So overall in these conditions of disinvestment, people are weighing their options." Chicago native Kathryn Welch, 48, is one of many black Chicagoans who did just that and elected to leave. After 26 years living in the city, Welch moved to the suburb of South Holland to be closer to her parents. She says she sees the city grappling with violent crime, and has no plans to move back. "I'm a single woman living alone and safety is my No. 1 concern," Welch says. "I don't have to look over my shoulder to wonder if someone is following. Granted there's crime everywhere. But I feel really safe where I am. I don't feel as I do [in the city] that there will be a gunshot at any point." Chicago's homicide rate fell for the second year in a row in 2018. But the total number was still more than New York and Los Angeles combined. While she hasn't lost any friends or family to gun violence, Welch says she started to worry about her safety after she heard gunshots while leaving her office in the Auburn-Gresham neighborhood on Chicago's South Side. "It was a summer day and I was walking to Walgreens and I heard these pops. And I saw gun fire from the alley and I saw a kid running eastbound and I didn’t know where he was running," she says. "And at that moment I felt so — I felt helpless. That type of experience is very small compared to a lot of the parents who have lost their children or people who witness someone being shot or seeing a dead body laying on the ground for hours at a time. But at that moment I just felt so vulnerable." Even though she doesn't have kids, Welch says Chicago's school system is another reason she doesn't think she'll ever move back to the city. "If I had a family of small children, I probably wouldn't even move back to Chicago because I would think about their well-being and good education. And good schools are primarily in good communities," she says. "Communities where there aren't as many boarded-up homes." Welch says she hasn't given up on Chicago, even though she has no plans to move back. "There's definitely an opportunity for things to turn around because there are great people. We have great public officials, great faith-based communities, great community organizations that are doing great work to stabilize communities like this," she says. "It's just going to take more time." Correction: An earlier version of the audio atop this post incorrectly stated Chicago has only had one black mayor. In fact, it has had two: Eugene Sawyer was selected by the City Council to serve as mayor after the sudden death of Harold Washington. We regret the error.